We’ve rounded up all of today’s Switch game announcements into one easy to digest article. It’s difficult to stay up-to-date on all of the software making its way to the Switch, so we hope to continue to bring you regular updates! 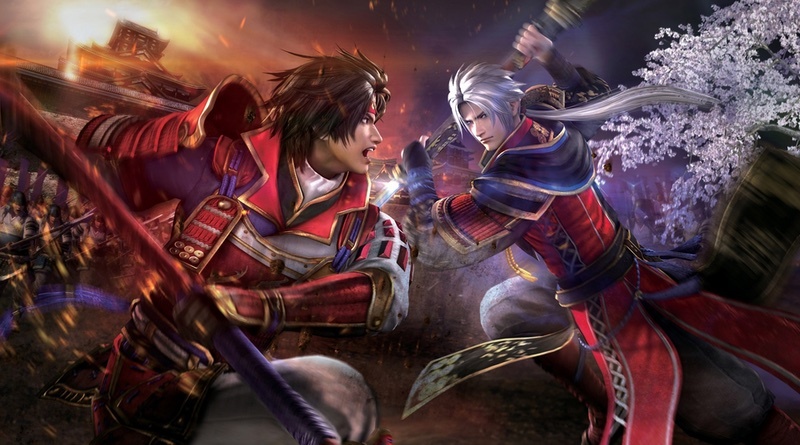 As the name implies, it’s a complete version of Samurai Warriors 4 (first released back in 2014, with over 500 000 units shipped in Japan), including the main game (with 55 playable characters) but also all the DLC released for that version (over 150 pieces of DLC: characters, costumes, scenarios, etc.). Ignite your high-speed career on Nintendo Switch, mastering motorsport’s most exciting cars on the world’s most thrilling circuits. GRID Autosport lets you race anytime, anywhere, with controls and difficulty options to suit your playstyle. Coming 2019. Official PR: Thunder Lotus® has announced that Sundered®: Eldritch Edition will launch worldwide on Nintendo Switch™ and Xbox One on December 21, 2018. The definitive version of the chaotic hand-drawn action-adventure game, Eldritch Edition notably enhances the game with local co-op. Sundered: Eldritch Edition is pre-purchasable today on the Nintendo eShop. Sundered: Eldritch Edition will also arrive on the same day as a free update to all existing players on PC and PlayStation®4. Sundered earned high praise from press and players alike for its unique take on the classic metroidvania genre upon its release on PC and PlayStation®4 in 2017. The new Sundered: Eldritch Edition includes the Magnate of the Gong Update, adding local co-op multiplayer support for up to 4 players, along with a special quest chain through new areas, and a chaotic battle against the new Magnate of the Gong boss. Sundered® is a chaotic hand-drawn action-adventure game where you resist or embrace ancient eldritch powers. Confront hordes of terrifying enemies in an ever-changing world inspired by the works of H.P. Lovecraft. Sundered is a challenging and unique take on a classic genre from the creators of Jotun, now with local co-op! Sundered: Eldritch Edition will be released on Xbox One and Nintendo Switch on December 21, 2018. Sundered was initially released on PC/Mac/Linux and PlayStation®4 in 2017, and Eldritch Edition arrives as a free update on those systems on December 21 as well. The title is priced at $19.99 USD on all platforms. Official PR: “We were deep into the development of Aaero when Nintendo announced the Switch and, with a team of just two of us, we simply didn’t have the time or budget to consider adding another platform at the time. Paul Norris, Creative Director at Mad Fellows, talks about Aaero: Complete Edition on Nintendo Switch. The Complete Edition includes all of the content previously released as DLC on other platforms. It also boasts numerous improvements based on players’ feedback from the original versions. Independent two-man team Mad Fellows bring you Aaero. Originally released on Xbox One, PlayStation 4 and Steam on April 11th 2017 to rave reviews, Aaero synergizes high-speed sci-fi shooting action with immersive music elements to deliver an amazing audio-visual experience. Speed through stunning, stylized environments as you trace ribbons of light, all the while releasing the energy in the game’s music. Encounter strange enemies, evade incoming obstacles, and overcome epic boss battles – all driven by an incredible licensed soundtrack from Noisia, Flux Pavilion, Katy B, The Prototypes, Neosignal and many more. –Pilot your craft through dynamic environments, negotiating obstacles and battling enemies, all synced to a banging soundtrack. –Licensed music from the superstars of the EDM genre including Noisia, Flux Pavilion, Katy B, Neosignal, Astronaut, Barely Alive and many more. –Soar through 21 different levels, each painstakingly crafted to match the music. –Encounter mammoth boss creatures and use strategic shooting and music energy to defeat these monstrosities. –Ground-breaking technology that pulls freeform gameplay into perfect time with the music. –The Complete Edition includes the 1000DaysWasted: Drum & Bass Pack, The Monstercat Pack as well as the Comet, Phaser and Sol player ship skins. –To learn more about Aaero, please visit www.madfellowsgames.com and follow its development on Twitter @MadFellowsGames for all the latest updates and news. Official PR: In addition to its quirky adventure game “Demetrios” releasing today, indie French developer COWCAT is pleased to announce that “Xenon Valkyrie+” is coming to Nintendo Switch! This old school roguelike-platformer will be available in America and Europe on the Nintendo E-Shop on January 1st, 2019 for a recommended price of 9,99 €. Pre-order and a free demo are available right now! Xenon Valkyrie+ is a roguelite platformer with RPG elements. It features old-school gameplay, pixel art and quality chiptune music. This is a revamped version of “Xenon Valkyrie” from developer Diabolical Mind (Daniel Fernandez Chavez) originally released on PC, with major gameplay improvements, translations and additions exclusively for the consoles! Obtain many weapons as you fight through a unique, randomly-generated world every time you play. Encounter many characters, stores and enemies that tell a legendary story. Level up and get the amazing power of the Xenon Valkyrie! Official PR: After successfully helping Eendhoorn release SpiritSphere DX to the Nintendo Switch, Fabraz is excited to announce the next game they’re publishing: Skellboy by Umaiki Games! Life was peaceful in the Cubold Kingdom until the king’s evil court magician got dumped by the princess. With his heart broken and his rage fueled, he called upon the evil spirits to resurrect the dead and the kingdom’s long forgotten monstrosities. What he doesn’t realize in his fury is that he accidentally summoned an ancient hero as well… Skippy! Travel across the beautifully rendered kingdom of Cubold and take full advantage of your resurrected, skeletal body! Swap out body parts to acquire new abilities during your adventure or pick up a new weapon to vanquish the evil magician’s lackeys. Onwards, Skippy, it’s time to be a hero once more! –A true action-rpg experience that will test your skill and reward exploration! –An expansive singleplayer experience across the interconnected world of Cubold! –The unique ability to swap out body parts to acquire special abilities! –Several weapon types to clobber any foes you face! –Special enemies and bosses that will truly test your mettle! –A beautifully vibrant world alongside some rocking chiptune tracks! –Cool secrets, references and minigames to discover! –And much more we’ll reveal at a later date. Official PR: I’ve got some info to share with you about our 8-bit action platformer Nogalious, which is already released on PC both in physical and digital formats, and will soon be appearing on MSX, Amstrad CPC, Commodore 64, Nintendo Switch, Xbox One and PlayStation 4. The cartridges for MSX took a bit longer than expected to be finished, but we hope to have them ready by this month. The game has been developed on a 512Kb Mapper ASCII8 megarom and it will be sold in a bundle including the box, the manual and the original soundtrack. In parallel, we have begun developing Nogalious on Amstrad CPC and Commodore 64. I will keep you updated on that. Besides, the game will also be launched on Nintendo Switch, Xbox One and PlayStation 4 in 2019, along with new games such as Mirilla and Dragorieta. Official PR: RIOT – Civil Unrest, the real-time riot simulation is now available to pre-order on the Signature Edition website. The game will launch in February on Nintendo Switch and will carry a price tag of $44.99 / €44.99 / £39.99. The Signature Edition version is brimming with extras including: two limited edition enamel pin badges, an original soundtrack CD, an artbook (sketchbook) numbered collector’s Signature Edition certificate and an exclusive collector’s art card all served up in a sturdy ‘Sierra’ box with outer sleeve featuring alternative artwork. As the world’s economical crisis deepens and inequality tears the very fabric of society the discontentment of the masses manifests itself in violent public disturbances and civil disorder. RIOT – Civil Unrest is a real-time riot simulation that recreates some of the world’s most infamous riots. Events include: The Italian NoTav opposition to a planned high-speed rail link between Turin and Lyon; The Arab Spring uprising in Egypt; Indignados, the anti-austerity protests in Spain; and Keratea, the landfill fueled struggle against the government in crisis-racked Greece. In addition, there are over 30 single scenarios including London in the UK and Oakland in the USA. Players will be able to choose to play as the rioting masses, venting their frustration and anger against the system and the police. Alternatively, players may decide to take on the role of law enforcement using crowd-control strategies to quell the hordes and regain order. As the Police, players can add additional tactical, assault, arrest, or ballistic units. Acting as the Rebels, players can add additional leaders whose influence affects rioters around him. Further items can be added too, such as DIY rocket launchers and documentarists. Players are encouraged to experience the scenarios from both the police and protesters’ points of view in order to better understand both sides. It should be noted that while RIOT – Civil Unrest simulates over thirty civil disturbances it remains politically neutral, encouraging the player to research and make up their own minds about the cause and effects of each encounter. Players will quickly learn that using force and violence works short term but patience and passive actions yield more positive outcomes. The game features four campaigns and 30 plus, one-off scenarios from historical hotspots around the world. RIOT: Civil Unrest also includes a two-to-four player versus mode in which friends can battle against, or with one another in a bid to gain public support in the fight for their cause. Before each game begins, players will be given an introduction regarding the reasons for the unrest and clear objectives for both of the warring factions.